Musical Influences: The Beatles, Led Zeppelin, U2, Wilco, Radiohead, Pink Floyd, Art Blakey, Steve Gadd, Max Roach. Book/Methods Used: Syncopation, Stick Control, The Drummer’s Complete Vocabulary (as taught by Alan Dawson), The Art of Bop Drumming, New Breed vol 1. To say that Andrew Griffin comes from a musical family is a bit of an understatement. 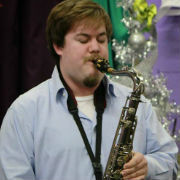 The youngest of twelve children, Andrew is one of ten siblings who are accomplished musicians, including one who plays in the Chicago Symphony. “Four or five of us have degrees in music, and two of us make a living at it. Being the youngest, I was surrounded by music growing up – my dad played trombone too. But unlike my classically trained siblings, I was into rock and roll. I was way into the Beatles by the time I was four years old.” At ten, Andrew attended a summer camp at a military academy in Indiana where he grew up, playing in the drum and bugle corps. He started on tenor drum, then moved to snare. By thirteen he started playing drums in a rock band, and played in bands all through high school and college. 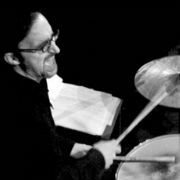 After earning a degree in History from from Valparaiso, Andrew studied drums at the highly acclaimed Berklee College of Music in Boston. He then moved to the San Francisco Bay Area in 1998, and has grown his career as a professional musician ever since.